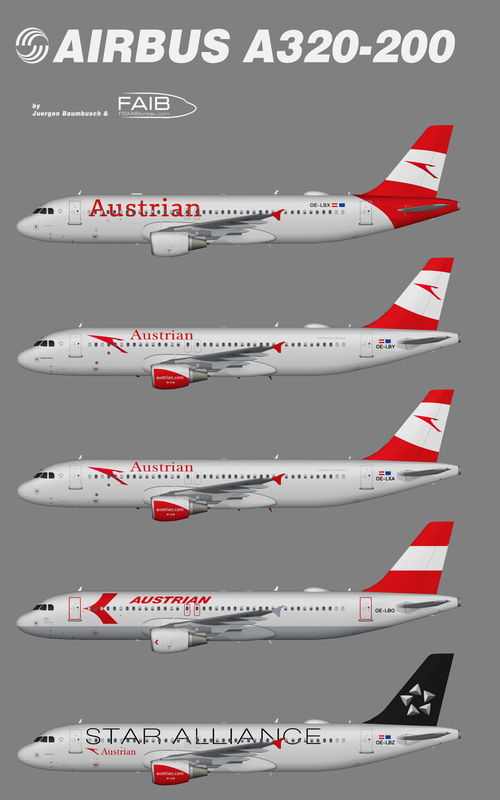 Repaint of Erez Werber Airbus A320-200 in Austrian AIrlines color scheme. (representative fleet) Base files package for FSX/FS9 available seperately at FAIB Website. For more details please visi t http://fsxaibureau.com. This is an AI aircraft only. Wonderful repaints, although some have them containing a wrong alpha channel what makes the wifi-dome invisible. the two emergency exit should be in “smaller” layout, instead of big one in use. ein kleiner Fehler, der doch etwas durcheinander bringen kann im Flugplan. Die A320 sind im fltsim.txt durchweg als A319 klassifiziert worden. Bitte mal korrigieren.